At right, a patient gets a denture fixed in his mouth from self-styled roadside dentist Gurdeep Singh at his shop in Amritsar, India on Wednesday. Most of these roadside dentists do not have any degree or authorized qualification but gained some sort of dental expertise either by working as a technician with a dentist or as a helper. Singh says he learned his skills from his late father and he has been doing this job for the last 40 years. Many people who cannot afford the fee of a qualified dentist, go to roadside dentists to cure problems related to their teeth. According to Singh, he earns about $1.80 or more per day from his work, depending upon the number of patients. See more images from India in PhotoBlog. 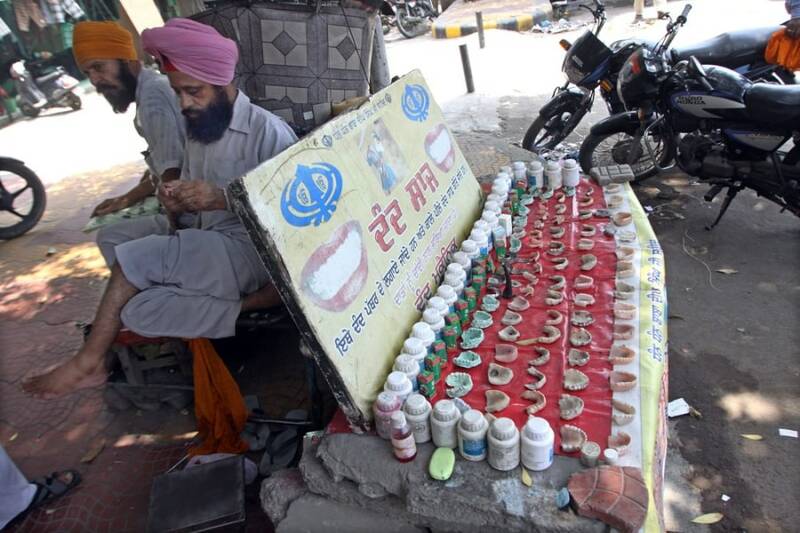 Self-styled roadside dentist Gurdeep Singh (in pink turban) works on making a denture at his shop in Amritsar, India. 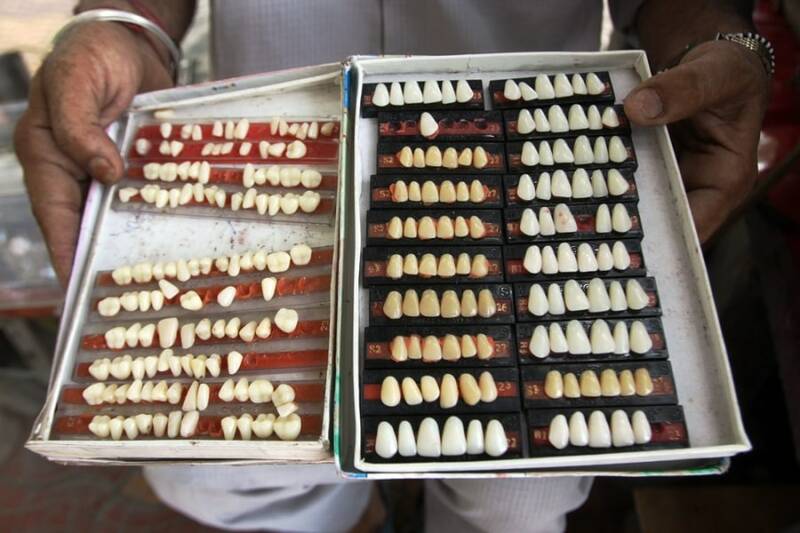 Gurdeep Singh shows various types of artificial teeth which he uses for his patients at his shop in Amritsar. 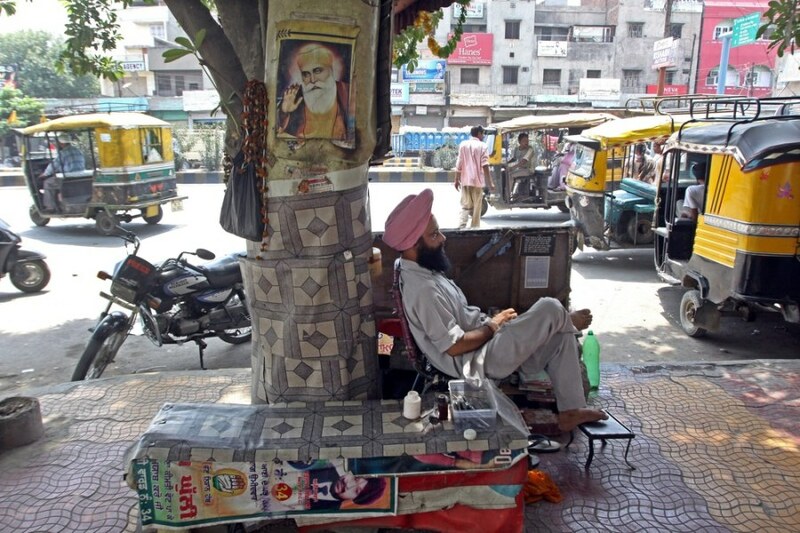 Roadside dentist Gurdeep Singh waits for patients near a busy street in Amritsar.